Yup. 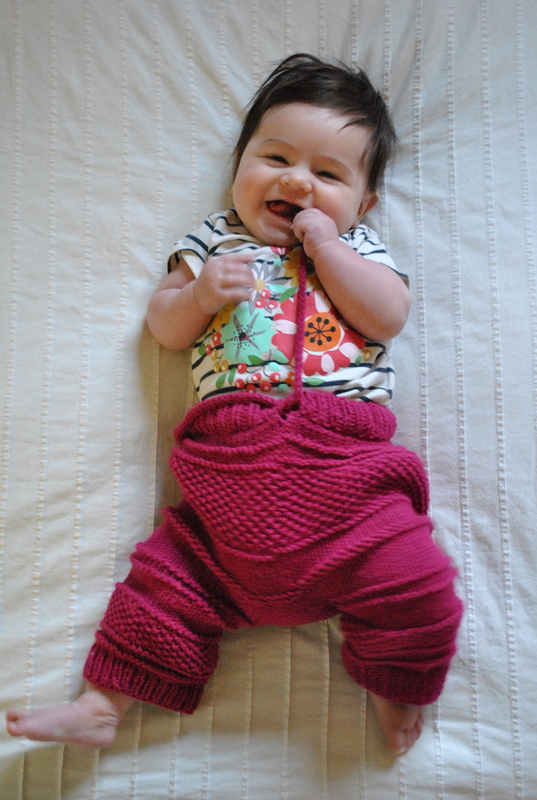 My child is wearing knitting pants. Why not? I am completely embracing this short stage in her life, where I have total control over what she wears. Not to mention, baby items are SO fast to knit, and take very little yarn. Which is why I haven’t made anything for myself in a reeeeeeal long time. I keep trying to make something for myself, and then get sucked in by some adorable baby pattern. sigh. I may be wearing faded black stretchy pants, and a shirt with holes in it, but gosh darn it, my child will be wearing handmade clothing that she will outgrow in about 1.5 weeks. Ah, how the priorities change huh? Back to these pants. They are the the Kanoko Pants. They make her rear look huge, and I love it! I’ve gotten over the fact that cloth dipes make her back side giant, now I just embrace it! Jeans are kind of out of the question for her right now, but that’s OK. I used some pink Cotton-Ease that I’ve had in the stash for years. As if knitted pants weren’t crazy enough, I had to go and make them bright pink. I suppose I could have used more than one color. I DO want to make her some striped ones soon. 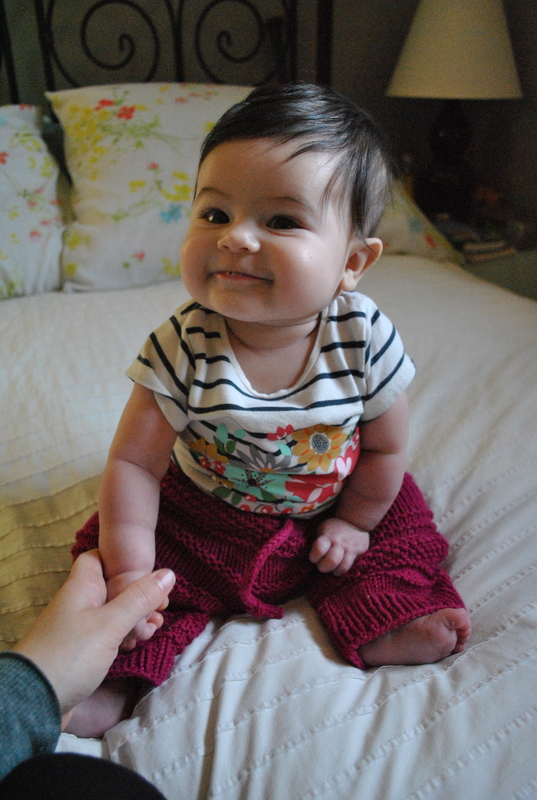 Little girl is just learning to sit up. She looks so old when she is upright like that! She rarely likes to be held on her back, she’ll strain her neck , and work those little baby abs to pull herself up. So much to see, no time to miss it all lying on your back! She is so fun. Our days at home together feel a little less like a one-sided conversation. She communicates with me so much more now. Some times in the form of high-pitched pterodactyl screams, but mostly in the form of big smiles and babbling. So much to learn about each other still, but it’s amazing to think how far we’ve come. Now the question is, can I tackle a project for ME? Our knitch getaway is a little over a month away, I need to pack at least ONE thing for myself. She is so cute! And so are the pants. 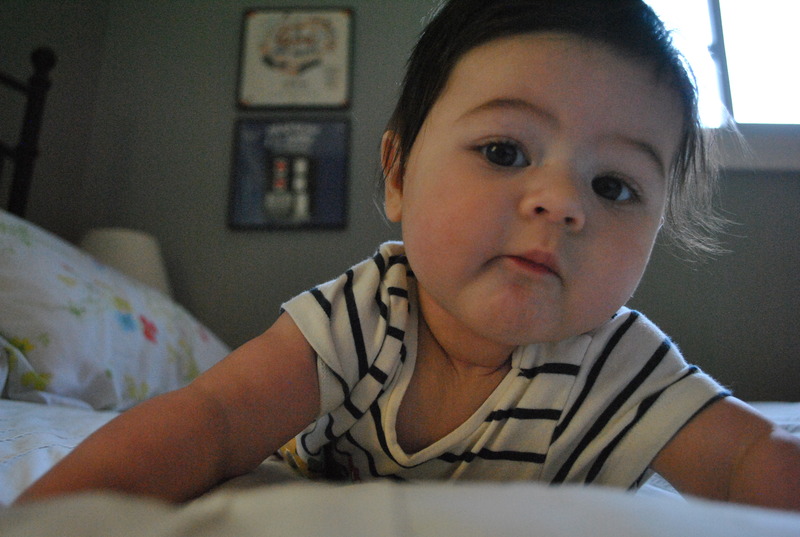 Could this child be any cuter?? Devon, you are in your element. 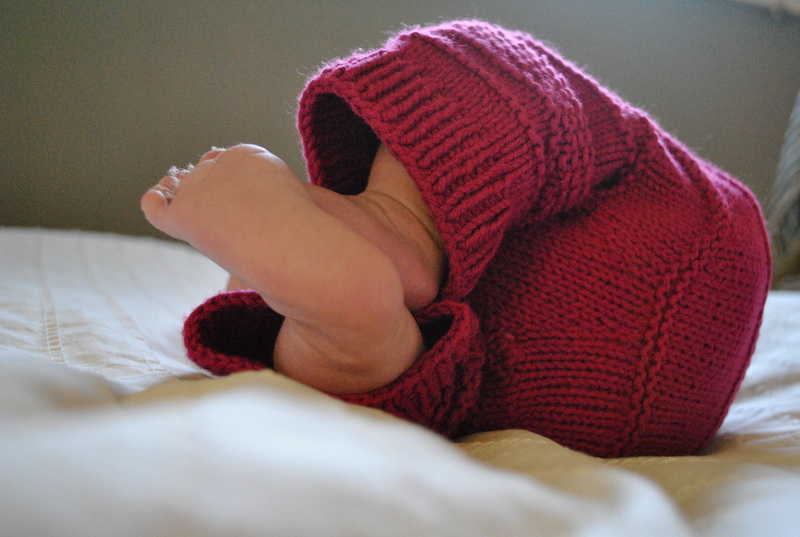 I made knitted pants for my daughter’s baby and she asked me to knit another 3 pair. Then my other daughter asked me to make some for her baby boy so he got cabled ones. LOVe them! Hi! I just stumbled onto your site from your optimist mitt pattern (absolutely lovely and I can’t wait to make a pair). Wanted to say, not only do you make cool mitt patterns but your daughter is just the cutest!! Thank you for sharing!